Mr. Monte maintains an active career as a performer, conductor and educator. As a performer, he holds positions in the trumpet sections of the Cape Cod Symphony Orchestra and the Plymouth Philharmonic Orchestra. He has also performed with the Rhode Island Philharmonic, the Rhode Island Civic Chorale Orchestra, the New Bedford Symphony Orchestra, the Woods Hole Cantata Consort, and the American Band of Providence, RI. He is the founder of the Concordia Brass Quintet and a member of the Sonare Chamber Ensemble. As a conductor, Mr. Monte has been the director of the Marion Concert Band (Marion, MA) since 1985. He was the musical director for New Bedford Festival Theatre from 1996 to 2003, overseeing the music for 15 NBFT productions. He co-directed the Acushnet Classic Ensemble from 1993 to 1997 and has been the choir director at St. John of God Church in Somerset, MA since 1977. 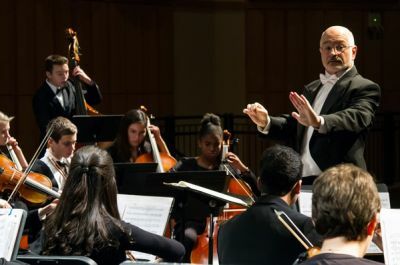 As a festival conductor, Mr. Monte conducted the 2011 & 2018 Northeastern Massachusetts Junior District Festival Orchestras, the 2008 Southeastern Massachusetts School Bandmasters Association (SEMSBA) Festival Senior High School Orchestra and the 1993 Rhode Island Junior High School All-State Band. In January of 2000, Mr. Monte joined the music department faculty at the University of Massachusetts Dartmouth where he directs the Wind Ensemble and Jazz Orchestra, and teaches courses in digital notation, brass methods and applied trumpet. He was also the musical director for the UMass Dartmouth Theatre Company from 2005 to 2010. Ms. Laprise holds a MMEd from Boston Conservatory and a BM in Violin Performance from Rhode Island College. She is a string specialist in the Fall River Public Schools, where she directs the Durfee High School Orchestra and instructs students in grades 4 through 8, conducting several string orchestras. While teaching music at Holy Name School in Fall River, she established a string program as well as a choral program. Ms. Laprise is also an instructor at the Rhode Island Philharmonic Music School and maintains a private violin studio. Ms. Laprise performs regularly with the Bristol County Chorus Orchestra, the Southeastern Massachusetts Festival Chorus Orchestra and the Community College of Rhode Island Chorus Orchestra. She is also a free lance violinist in the Southeastern Massachusetts/Rhode Island area. Mr. Daniels holds a Masters Degree in Music Education with a Concentration of Double Bass Performance from the University of Rhode Island. He is currently a String specialist at New Bedford Public Schools and formerly worked as a String and Chorus specialist at Tiverton Public Schools from 2013-2017. Mr. Daniels has also maintained a private studio of bass and cello students since 2008 including studio work at Moses Brown School and La Salle Academy (Providence, RI). He is also the Cello and Bass teacher at the Community String Project (Bristol/Warren, RI). In addition to teaching he also performs regularly with the Narragansett Bay Symphony Community Orchestra (Providence, RI), the New England Symphony Orchestra (Fitchburg, MA), South County Community Orchestra (South Kingston, RI), and The Ocean State Summer Pops Orchestra (Providence, RI). He has served as the Assistant Director of the URI Summer Music Academy: String Camp since 2009. Ms. Herrero holds a bachelor's degree in music education with a concentration in viola from the University of Rhode Island. She is a string specialist in the Fall River Public Schools. While at URI, she was the principal violist in the URI Symphony Orchestra and a member of the school's honors string quartet. She maintains a private studio and is a freelance violist in the Southeastern Massachusetts/Rhode Island area. Mrs. Monte is a string specialist in the Dartmouth Public Schools. She has served on the executive boards of the Massachusetts Music Educators Association, the Massachusetts String Teachers Association and the Foundation for the Advancement of String Education. As a cellist, she has performed with the New Bedford Symphony Orchestra, the Cape Cod Symphony Orchestra, the Plymouth Philharmonic Orchestra, and the Rhode Island Philharmonic. Mrs. Monte is active in organizing festivals and managing orchestras and has served as an adjudicator and conductor for District and All State festivals in Massachusetts, Rhode Island and Maine. 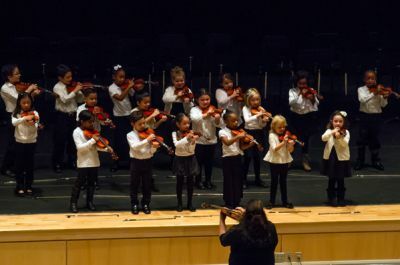 She is on the music department faculty at UMass Dartmouth, where she teaches string pedagogy, and during the summers she enjoys teaching at the Southern Maine String Camp. 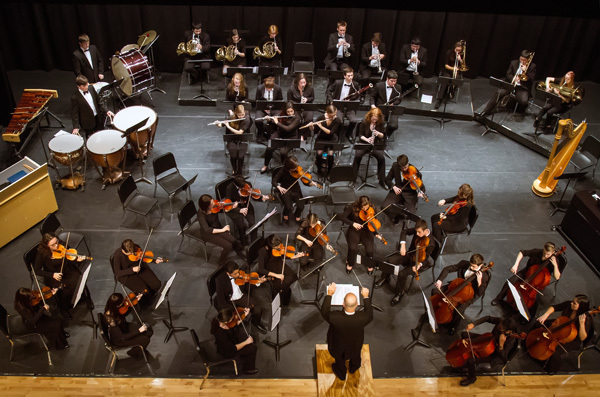 Ms. Benson is a member of the New Bedford Symphony Orchestra and has also performed with the Cape Cod Symphony Orchestra, the Plymouth Philharmonic Orchestra and the Trans Siberian Orchestra. She is a member of the Sonare Chamber Ensemble and has also performed with the New Bedford Choral Society, the Sippican Choral Society and New Bedford Festival Theatre. Ms. Harlow holds a bachelor's degree from the New England Conservatory of Music and is on the adjunct faculty of UMass Dartmouth and Bridgewater State University where she teaches cello. Since 1969 she has been a cello and strings teacher in several locales including Plymouth, Kingston, Silver Lake Regional School District, Scituate and Mansfield. In 1989 Ms. Harlow founded the South Shore Regional Youth Orchestra and served as coach and assistant conductor through 1992. Ms. Harlow holds positions in the cello sections of the New Bedford Symphony Orchestra, the Plymouth Philharmonic Orchestra, and the Claflin Hill Symphony Orchestra, and performs extensively with the Classique Chamber Music ensemble. She also performs with the Springfield Symphony Orchestra, the Woods Hole Cantata Consort, the Pilgrim Festival Chorus, the Mayflower Chorale, the Sippican Chorale, Gloriae Dei Cantores and at the Orpheum Theatre in Foxboro. Mr. Monte holds a bachelor's degree in music education from Rhode Island College. He is a music specialist in the Somerset Public Schools, teaching middle school band and elementary general music. He has performed with the Plymouth Philharmonic Orchestra, as well as with the Southcoast Alumni Symphony Orchestra (principal horn), Concert for Hope Orchestra (principal horn), New England Intercollegiate Band (principal horn), the American Band (principal horn), the Tri-County Symphonic Band (principal horn), and the Marion Concert Band (principal horn).